With over ninety subject categories from which to choose, selecting which photos one wishes to view can be challenging. Where do you start? On page two of the hollywoodphotographs.com web site is a list of all the categories of all the photos on he web site. Most of the aerial pictures are extremely rare and were taken by the famed aerial photographer, Robert Spence. Using his bi-plane, he took some of the most amazing aerial photographs in the world. Whether it was a photo of the movie studios or an image of the Hollywoodland sign, all Spence’s aerial photos are absolutely crystal clear. Hollywoodphotographs.com is the largest collection of Hollywood Pictures on the internet. Begun in 1970, the collection was started by Bruce Torrence, whose grandfather, Charles E. Toberman, was an early Hollywood pioneer. Beginning with about thirty historic photographs of Hollywood, Bruce began on a mission to establish the largest collection of Hollywood pictures, in the world. Today there are over 12,000 photographs in the collection, of which there are more than 8,000 pictures on his web site, hollywoodphotographs.com. 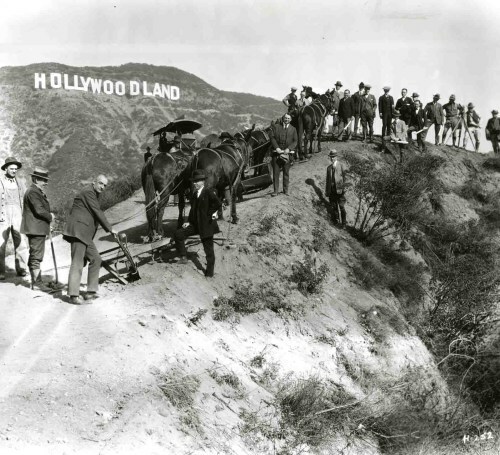 It was just over one hundred years ago that Hollywood became its own city. On November 14, 1903, the residents of the Cahuenga Valley voted to incorporate their small community and the called the City of Hollywood. At that time, Hollywood was a small residential town which was about twelve west of downtown Los Angeles. City hood didn’t last but a few years because of an inadequate water supply and municipal facilities. 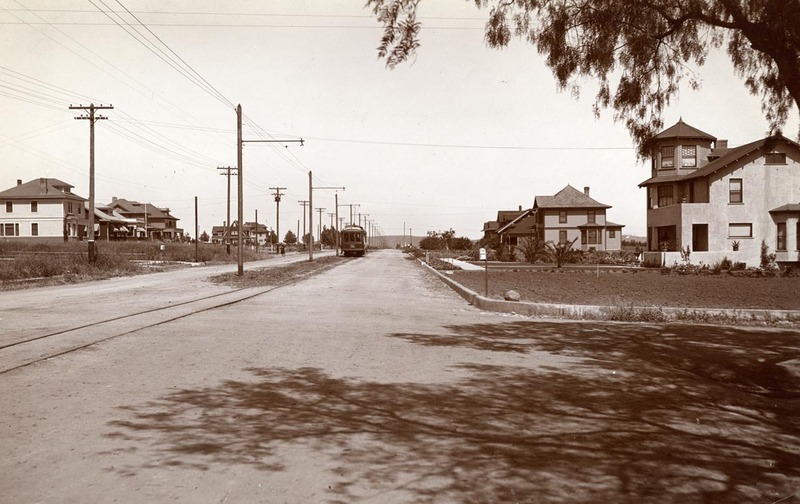 In February 1919, the residents of Hollywood voted to annex their small community to the City of Los Angeles. The last official act of the Board of Trade was to rename Prospect Ave to Hollywood Blvd. More than 500 Hollywood pictures have been added to the the hollywoodphotographs.com, the largest collection of Hollywood pictures. The new pictures fall into about eight subject categories, including the Hollywood Walk of Fame, Aerials,Hollywood Canteen, Hollywood Blvd. and movie studios. The largest collection of Hollywood pictures is is at hollywoodphotographs.com. There are thousands of pictures of all of Hollywood famous places and celebrities of the Golden Age of Hollywood. Some of the popular nightclubs include Ciro's, Cafe Trocadero and the Mocambo. Celebrities that ate and drank at these famous places included Frank Sinatra, Rita Hayworth and Errol Flynn. The best Hollywood pictures are on the hollywoodphotographs.com web site. There are over 7000 historic and vintage pictures covering more than ninty subject categories. Some of the most popular subjects include the Hollywood Sign, Hollywood Walk of Fame and restaurants and nightclubs. In order to fully appreciate Hollywood, it’s best to learn about its history from initial development to becoming an icon for the movie industry. One way to get a glimpse and better understanding of Hollywood and its history is to look at Hollywood pictures that document the construction of famed buildings like the Griffith Observatory, Chinese Theater and the Hollywood Bowl. For those interested in looking at thousands of old Hollywood pictures, the hollywoodphotographs.com web site is the largest of its kind. With over 6000 pictures, covering more than ninety categories, this collection has something for everyone. From crystal clear aerial photos to pictures of fashionable Hollywood premieres, this site has it all. Probably the most popular category of photographs is the Hollywood Walk of Fame. There are over four hundred images of Hollywood’s most famous celebrities having their names placed in the Walk of Fame. Photos of Ron Howard, Elton John, Shirley Jones, Michael Jackson, Robert Mitchum and Tom Selleck are just a few of the great photos in the Walk of Fame category. Anyone wishing to look at old Hollywood pictures can simply go to the hollywoodphotographs.com web site. There are over 12000 photos in the collection, of which about 6000 images are on the web site. There are ninety subject categories from which to choose, including, the Hollywood sign, restaurants/nightclubs, theaters, movie studios and the Hollywood Walk of Fame. Browse thousands of historic Hollywood pictures including such landmarks as the Hollywood Bowl, the Hollywood Sign, Hollywood Canteen and many more. Hollywoodphotographs.com has the largest number of Hollywood pictures than any other collection in the world. With more than 12,000 photos in the collection hollywoodphotographs.com has placed over 6,000 photos on its web site. The web site pictures have been divided into ninety subject categories so that viewers are able to select and view with ease. In addition to the photos, there is a brief history of each category and a blog section that describes many of the photo categories.